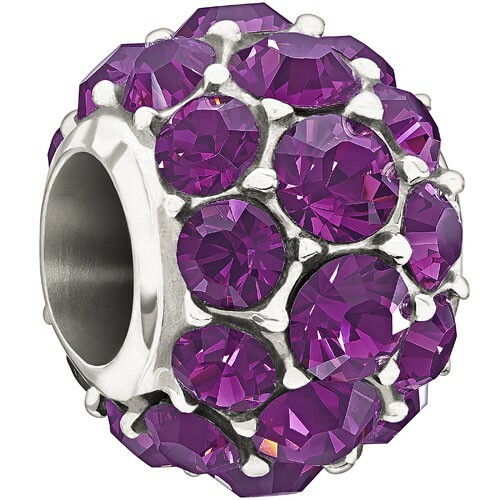 Chamilia Sterling Silver Charm "Splendor - Purple" With Swarovski 2025-0979. Radiate light and beauty with the shimmering design of the Splendor bead. 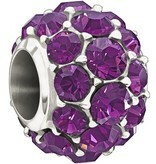 Adorned with an array of purple Swarovski crystals, this bead will illuminate your jewelry design.